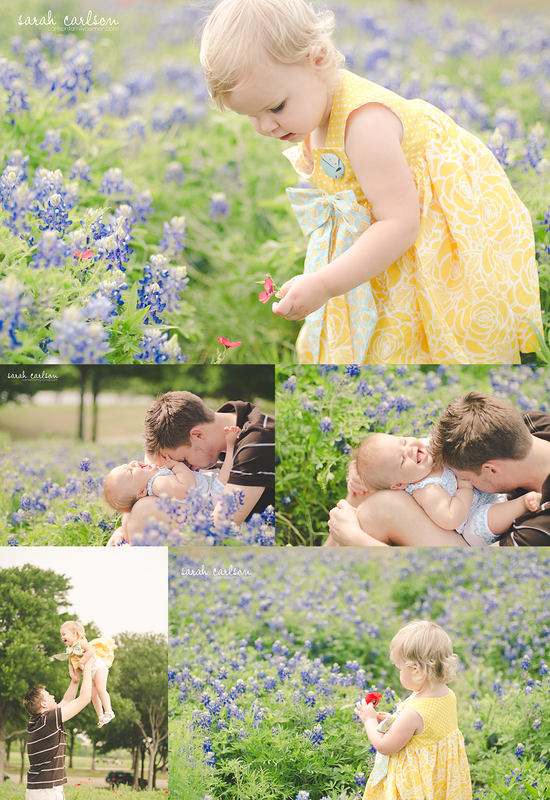 This year's trip out to the bluebonnets didn't go so well! While we did enjoy hanging out with our friends, my pictures weren't what I'd hoped for. Kate did not enjoy being in the flowers. They were so thick and tall that she had trouble finding places to step, so she just wanted to be held. A little while later she started saying "Hurt, hurt!" in a kind of panicky way. We later saw she'd been bitten up by ants on her foot, and her whole food was so swollen it wouldn't even fit in her shoe. Not a good morning for Kate to have her picture taken! Caroline was a champ, but she just wants to crawl and eat things off the ground, so no beautiful portrait of her, either. Maybe some evening soon we'll try again when the light is prettier and we have a happy Kate. Or maybe it will have to wait for next year.